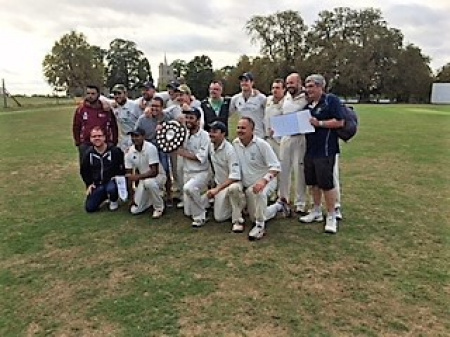 The Hertfordshire Village Trophy Finals 2018, sponsored by Hertfordshire County Cricket Association took place yesterday, Sunday 19 August, at Knebworth Park Cricket Club with Potten End Cricket Club coming out as winners. The photo above shows Potten End Captain - James Pickard holding the winners trophy. Finally, a big thank you to Knebworth Park Cricket Club for hosting the day, the fantastic officiating crew from the Hertfordshire ACO and to the Village Trophy Co-Ordinator Richard Burling for all his work in making the 2018 competition run smoothly.